Thanks to a link posted in the comments to news on the BBH World Championship, we have a look at those who qualified in the regional tournaments to the game and they will move onto the finals to compete for the $10,000 grand prize. 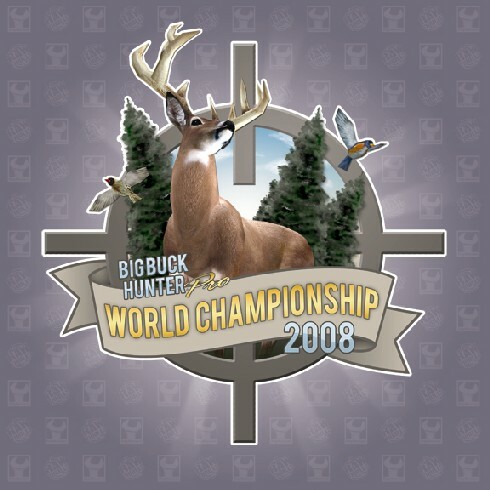 This certainly makes me eager to receive my Big Buck Safari Online kit (which I ordered last week) and to start seeing the tournaments being with that starting next month. I won’t post the players who won here, I’ll let the link take care of that but it looks like Texas is certainly in a strong spot once again. No one from my state qualified as usual – honestly though I am not sure how many online enabled versions of the game are around here. I do have a couple of players who come in and play on Safari who are ridiculously good at the game, I wouldn’t be surprised if they manage to place well in any upcoming Safari tourneys. My comments is not about this post. I was reading all 29 pages of your fourm at jaguarsector.com. I have to tel you, you are an amazing person. Thanks for posting all your experiance there. I am newbie for doing business, one day i was searching “How to start a business” in google. I came across your thread. I wish i can come and play in ur Arcade, but i live in Charlotte,NC. Anyhow, just i wanted to drop a line here saying thanks for sharing your experiance. Good luck with your business. I will be visiting your site often. Thanks for the compliments, I appreciate it. I do wish you luck if you undertake the endeavor of starting an arcade – it can be difficult for a while but I always have felt that it’s possible to achieve success. I haven’t reached that point quite yet with my arcade – we’re still struggling to create a larger fan base so more money starts coming in but I’m still optimistic about it. I just need to enhance my game selection, getting rid of games no one plays and replacing them with ones that people want to play. As an example I just replace Ninja Gaiden with SNK Vs. Capcom. NG barely made a couple of tokens a week – I just installed SNK Vs Capcom yesterday and it’s already made more than NG did in a couple weeks worth of time. Thanks again, I hope you enjoy the site!